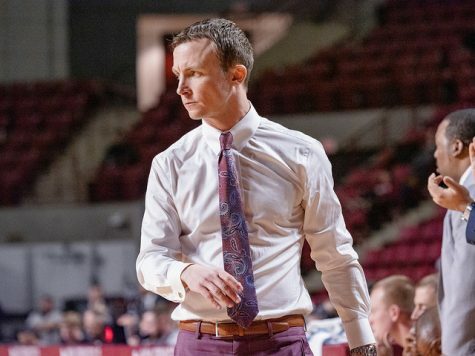 Since taking the head coaching job, Derek Kellogg has always wanted the Massachusetts men’s basketball team to play a national schedule against the country’s top teams. But as No. 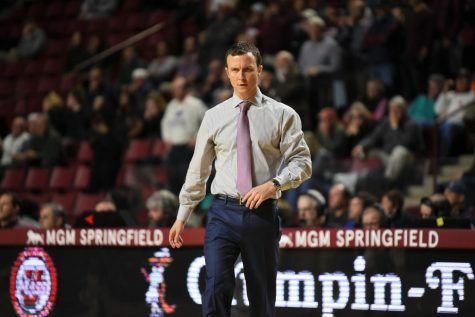 2 Michigan State’s 106-68 drubbing over UMass (2-3) on Saturday proved, it’s going to be a while before the Minutemen can compete against a team on that level. The Spartans (5-1) scorched UMass, shooting 58.6 percent from the field and 63.6 percent shooting from 3-point range. Guard Chris Allen led the Spartans with 18 points while Anthony Gurley scored a game-high 24 points for the Minutemen. Despite the game being lopsided, UMass can at least take credit for participating in some history. MSU coach Tom Izzo won his 341st victory to set the school record for most wins, topping his predecessor Jud Heathcote. After losing to Florida by three points, the Spartans ensured that their coach would set the record in New Jersey. The Minutemen had an 8-2 run early in the game, but MSU responded with 16 straight points, which turned into a 30-3 run to lead by 20 points with seven minutes, 33 seconds left in the first half. The Minutemen were down by 46 points with 2:14 left in the game. 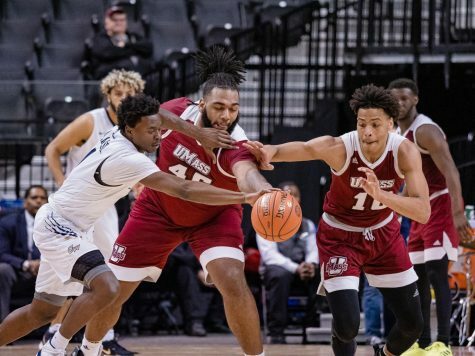 UMass then made a small dent in the Spartans’ lead with 3-pointers by guards Gary Correia and Freddie Riley along with a last-ditch layup by guard Javorn Farrell. But the run was insignificant by then. Kellogg believes that besides MSU having more skill at every position than UMass. The game also came at an inconvenient time. 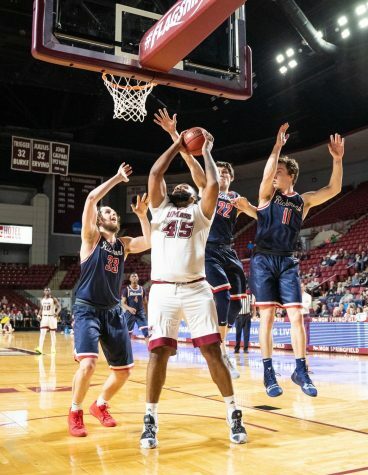 The consolation game of the Legend’s Classic was the Minutemen’s sixth game in two weeks, which included a semifinal game the day before against Rutgers. 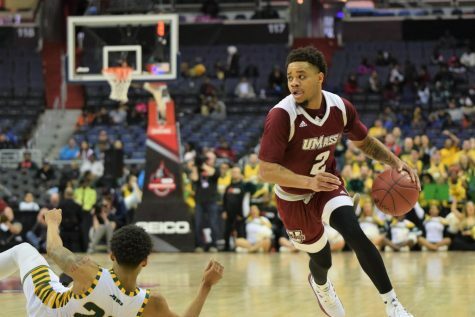 It’s the most games UMass will play in a two-week span for the rest of the season. 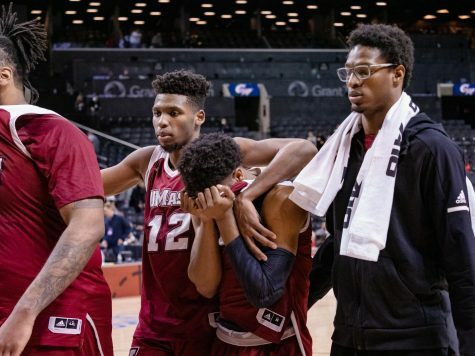 For a team as young as UMass, ending a schedule that grueling against the second best team in the nation isn’t going to show promising results. If there’s anything the Minutemen can take relief in, it’s that they are guaranteed not to play anyone as good as the Spartans the rest of the season. In fact, UMass won’t even play a team getting Top 25 votes until Dec. 19 when it squares off against Memphis. 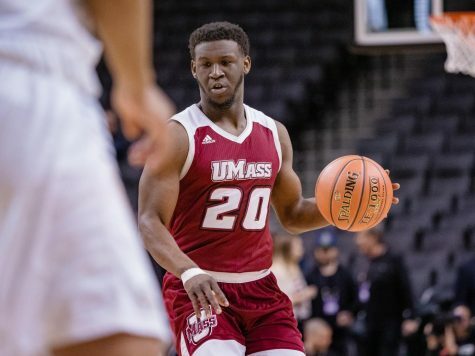 The Minutemen also lost a much less discouraging game to the Scarlet Knights on Friday, 83-75. Rutgers rode guard Mike Rosario for 22 points on 9-for-15 shooting and seven rebounds. He scored 18 of his points in the first half to jump the Scarlet Knights (3-2) out to a 46-35 lead at the half. Guard Ricky Harris (22 points) rebounded from a poor first half with 20 second half points. But it wasn’t enough to keep the Minutemen from snapping a two-game winning streak. 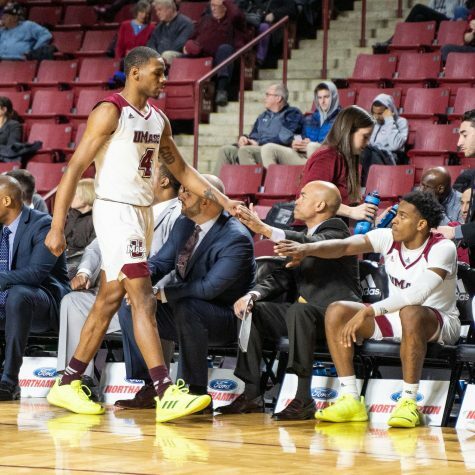 After being down 19 points, UMass cut the lead to four points with 1:32 left in the game with a 3-pointer by Harris. But late free throws prevented the Minutemen from coming away with the win. Redshirt junior Anthony Gurley contributed 19 points off the bench. 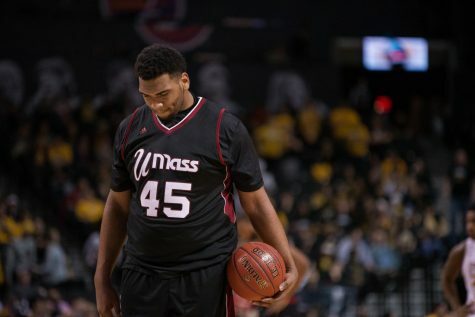 UMass also welcomed back center Hashim Bailey, who sat out the two previos games with a groin injury. Bailey (two rebounds) played 14 minutes, but he picked up four quick fouls and had a limited contribution off the bench. 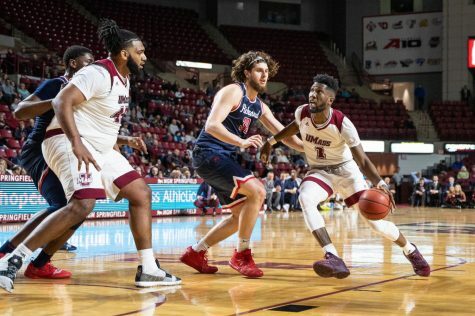 The Minutemen play its next game at the Mullins Center on Wednesday against Quinnipiac. The Bobcats come off a 13-point win against Maine on Nov. 24.